The donation drive has started. We are very excited. We have already received blanket kit donations in the mail. We have heard from many that you have either planned to donate a blanket or that you already have done so and it is on it’s way to us. We are so grateful and thank you all. As we go along with our donation drive we will have suggestions on how you can get involved, and how you can get others involved with you. The first of these ideas that we offer to you is a great one to bring families together. Next weekend, we are planning a “Fleece Tying Family Fun Night”. My daughter is going to have a few of her friends over and they are going to put several of the blanket kits together along with myself and my husband. We are planning to make it a fun night, we have pizza on the menu and a movie and popcorn also planned. We are going to have a lot of fun together all while volunteering and donating for a great cause. Keep an eye right here on our blog and and if you haven’t yet be sure to become a Fan on facebook. 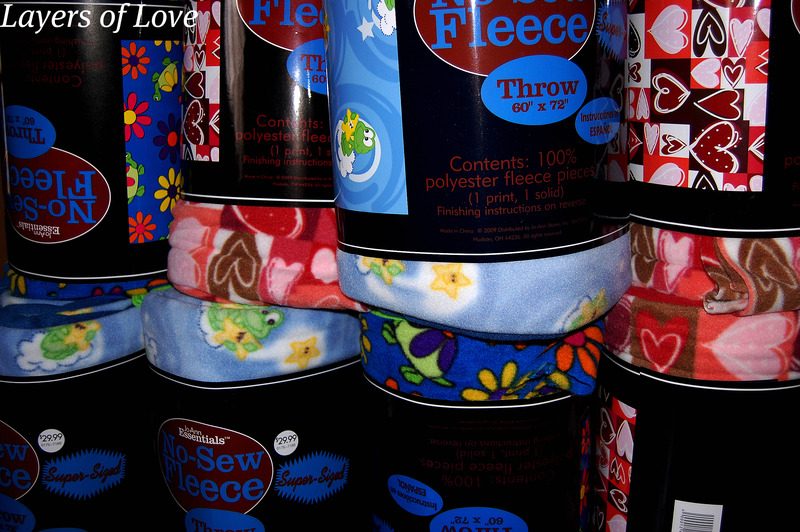 We will have photographs and updates from our Fleece Tying Family Fun Night for you. In the meanwhile, be sure to check out our photographs of the No Sew Fleece Blanket kits that have already been donated for us to put together. You can view all our photographs on our flickr page. We are very excited and grateful for everyone who is donating to our cause. Your donations are helping all the chemotherapy patients have a special homemade warm blanket to comfort them when they need it the most. This entry was posted in Donations, Uncategorized and tagged blanket kits, cancer, chemotherapy, Donations, grateful, helping, no sew, volunteering. Bookmark the permalink. Hi, I’ve just discoverd you via Twitter and want to wish you all the very best with your endeavors…it’s wonderful to see what you are doing!